Married: February 17, 1897, George Turner of Deposit Road Cannonsville, Delaware Co. NY. Millard F., married a McLaughlin, of Cannonsville. Lived in Walton, NY. in the 1950's - current status unknown. 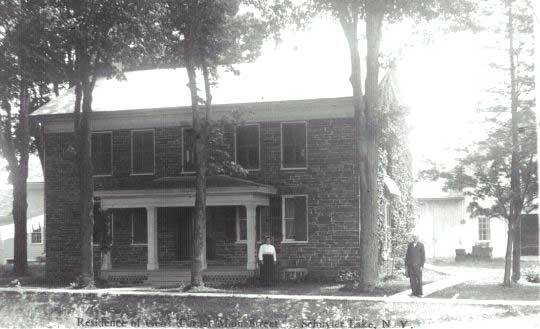 Picture of George and Etta in front of Schyuler Lake home - date unknown. Had a very nice farm and home1. George was born June, 18752 and died in 19383. George and Etta were originally buried in Cannonsville, Delaware Co., N.Y. However, when the Cannonsville Reservoir was built, they were moved to the Walton Cemetery, lot 425.